Take some pure, raw honey and mix it with some plain water. Apply it all over your hair nicely. You can either keep it for 2 to 3 hours or put on a shower cap and go to the bed to leave it for the whole night. Finally, wash off with some lukewarm water. Being acidic in nature, white vinegar can work as a lightening agent too. You just need to mix it with pure, raw honey in order to get the right blend. The method of application should be similar to the previous one. Squeeze out the juice of fresh lemons to get 1 full cup of it. Pour it into a spray bottle and add (1/4) cup of tepid water. Shake well to get your lemon spray. Spritz it onto your hair generously every 30 minutes and try to stay under the sun at least for some time right after the application. Prepare a concoction by mixing 1 cup of regular salt with 5 cups of plain water. Apply it all over your hair and leave for next 15 minutes. Then, rinse with plain water carefully. 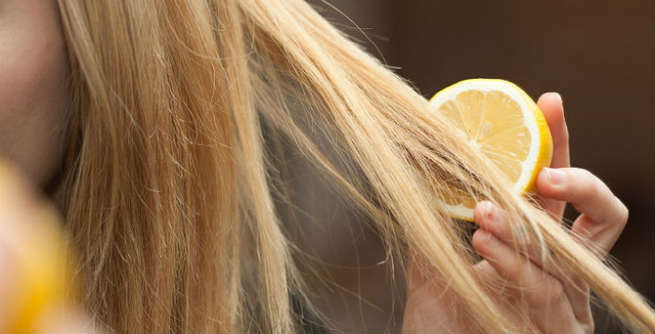 Just like the salt-water rinse, a vinegar-water rinse can also help in making the natural color of our hair lighter. 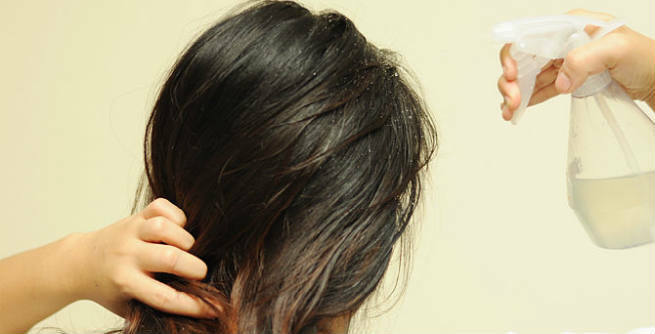 Combine 1 cup of white vinegar with 6 cups of plain water and allow it sit on your hair for 15 minutes. Then, wash off with normal water. Take a handful of a good herbal conditioner and add 1 tablespoon of fine cinnamon powder to it. Mix well and coat your hair uniformly from roots to the ends with the mixture. Try to leave it overnight by wearing a shower cap. Otherwise, rinse away after 2 to 3 hours. Prepare a cup of strong chamomile tea by steeping 1 tea bag in 1 cup of boiling water for around 10 minutes. Let it cool down. Then, rinse your hair with it. You can either stay in the sun for drying it up or simply wash it off after 20 to 25 minutes. Rhubarb (a certain perennial plant) is also known for its great hair lightening properties. Just chop up a couple of rhubarbs and prepare an infusion by boiling them in 2 cups of water. Wash your hair with it after cooling and straining thoroughly. Finally, rinse with plain water. 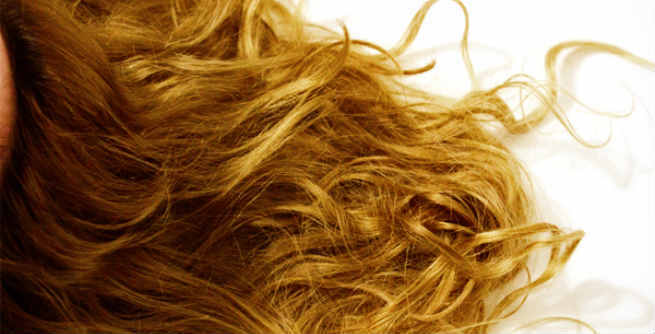 Make your own homemade hair lightening recipe by blending 1 cup of pure, raw organic honey, 1 tablespoon of olive oil (EVOO or extra virgin olive oil is preferred), 2 cups of distilled vinegar and 1 tablespoon of freshly ground cinnamon together. Dampen your hair and apply it evenly. You have to leave it for the whole night by wearing a shower cap. Next morning, wash off with normal water. Last but not the least; make a hair lightening henna mix by adding herbal henna powder and chamomile powder 2 tablespoons each to 1 cup of boiling water. Allow the thick paste to cool down and then, cover all your hair with it completely. Do not forget to put on a shower cap. After 2 to 3 hours, remove the cap and rinse your hair with tepid water.